Publications: [ A list of papers | Research overview ] (PDF). For download: "Basic course of topology: theorems and exercises" (in Russian). MCCME Press, Moscow, 2017. Laboratory of Algebraic Geometry (since 2010). From August 2017, I am in IMPA (Rio de Janeiro). ( Workshop on "Special Geometries in Mathematical Physics"). (Third Workshop on Differential Geometry). 05.11.2007, Quaternionic Monge-Ampere equation, Imperial College of London. 26.11.2007, Algebraic geometry over quaternions, Durham University, UK. ( Second workshop on "Special Geometries in Mathematical Physics"). 05.06.2008, Sasakian manifolds, Technion, Haifa, Israel. (First Cuban Congress on Symmetries in Geometry and Physics). 16.01.2009, Topology of locally conformally Kaehler manifolds, Tokyo Metropolitan University. June 2009, a conference at the University of Lille 1 "Holomorphically symplectic varieties and moduli spaces". [ 1 | 2 | 3 ] A mini-course on "Hyperkahler SYZ conjecture and multiplier ideal sheaves". November 2009, a trimester and a workshop on Kaehler and related geometries at Nantes University. [ 1 | 2 | 3 ] A mini-course on Sasakian and locally conformally Kaehler geometry. (National Meet on History of Mathematical Sciences). (Geometry of complex manifolds IV). a conference "Extremal metrics: evolution equations and stability". CIRM, Luminy, a conference "Non-Kaehlerian aspects of complex geometry". Holomorphic symplectic varieties, Courant Institute, New York University, June 4-5, 2011, FRG Workshop. Global Torelli theorem for hyperkaehler manifolds (June 4). Subtwistor metric on the moduli of hyperkaehler manifolds and its applications (June 5). 16.06.2011, An intrinsic volume functional on almost complex 6-manifolds and nearly Kaehler geometry, (Oberseminar Inst. fur Algebraische Geometrie, Leibniz Universitat, Hanover). 01.07.2011, Instanton bundles on CP^3 and special holonomies (The Seventh Congress of Romanian Mathematicians, Brasov). 21.09.2011, Formally Kähler structure on a knot space of a G2-manifold, ("Geometric structures in mathematical physics," Golden Sands, Bulgaria). 11.10.2011, Any component of moduli of polarized hyperkahler manifolds is dense in its deformation space, ("Moduli spaces and automorphic forms", Luminy, CIRM, France). 21.10.2011, Morse-Novikov cohomology and Kodaira-type embedding theorem for locally conformally Kahler manifolds, ("Complex geometry and uniformisation", Luminy, CIRM, France). 23.01.2012, Twistor correspondence for hyperkaehler manifolds and the space of instantons, and 24.01.2012, Trihyperkahler reduction, Cavli IPMU, University of Tokyo, Japan, MS Seminar: Mathematics and String Theory. 16.03.2012, Trisymplectic manifolds, Advances in hyperkahler and holomorphic symplectic geometry (BIRS, Canada, March 11-16, 2012). 07.08.2012, "Global Torelli theorem for hyperkaehler manifolds," August 6 - August 10, Kyoto University, Japan, 7th Pacific Rim Complex Geometry Conference. 24.08.2012, "Holomorphic connections on the space of quasilines", Geometry Seminar, Florida International University. 07.09.2012, Rational curves on non-Kähler manifolds, a conference "Komplexe Analysis", 2-8 September 2012, Oberwolfach. 28.10.2012, "Global Torelli theorem for hyperkaehler manifolds", at "International Conference on Cycles, Calibrations and Nonlinear Partial Differential Equations Celebrating Blaine Lawson's 70th Birthday" (October 22-28, 2012, Stony Brook University). 29.10.2012, "Local structure of twistor spaces", at "Hyper-Kahler Geometry Workshop", Simons Center for Geometry and Physics, October 29 - November 2, 2012. 07.12.2012, Non-hyperbolicity of hyperkähler manifolds, at "Victor Kulikov's 60-th Birthday" conference (December 3-7, 2012, Steklov Institute, Moscow). 09.03.2013, Instanton bundles on $\C P^3$ and rational curves on twistor spaces, TIFR, Mumbai, India, International Conference on Analytic and algebraic geometry related to bundles, March 18-22, 2013. 27.03.2013, Ratner's theorem and ergodic complex structures,, KIAS, Seoul, Workshop on Deformation and Moduli in Complex Geometry, March 25-29, 2013. 03.067.2013, Holography principle and Moishezon twistor spaces, Workshop ``Moduli Spaces and their Invariants in Mathematical Physics'', CRM, Montreal, June 3-14, 2013. 03.10.2013, Ergodic complex structures and Kobayashi metric, "Symplectic algebraic geometry", 30/09/2013 to 04/10/2013, Kansai Seminar House, Kyoto. 8.11.2013, Towards the cone conjecture for hyperkahler manifolds, a talk at Quiver Varieties Program Seminar, Simons Center, Stony Brook. Subtwistor metric on the moduli of hyperkahler manifolds, International conference ``Geometry and analysis on metric structrures'', Geometric control theory laboratory, Novosibirsk, December 4-7, 2013. 26.03.2014, Hyperkahler manifolds are non-hyperbolic, a conference "Moduli spaces of irreducible symplectic varieties, cubics and Enriques surfaces", Laboratoire Painleve, Lille, March 24-28, 2014. 16.03.2014, Hypercomplex manifolds of quaternionic dimension 2 and HKT-structures, workshop "Complex Geometry and Lie Groups", Torino, 16-20 June 2014. 05.08.2014, Holography principle and Moishezon twistor spaces, Conference on The Geometry, Topology and Physics of Moduli Spaces of Higgs Bundles, National University of Singapore, 4-8 Aug 2014. 10.08.2014, Complex subvarieties in homogeneous complex manifolds, Topology of Torus Actions and Applications to Geometry and Combinatorics (ICM Satellite conference) Aug. 7-11, 2014, Daejeon, Korea. 18.08.2014 Teichmuller spaces, ergodic theory and global Torelli theorem, SEOUL ICM 2014, August 13-August 22, 2014. 05.09.2014, Kahler structure on the knot space of a G2-manifold, Simons Center for Geometry and Physics, Stony Brook, G2 manifolds: September 2 - 5, 2014. 11.09.2014, Kahler threefolds without subvarieties, a talk at REAL and COMPLEX DIFFERENTIAL GEOMETRY 8-12 September 2014, Faculty of Mathematics and Computer Science, University of Bucharest. 19.09.2014, Holography principle and Moishezon twistor spaces, Quaternion-Kahler manifolds and related structures in Riemannian and algebraic geometry, Joint Meeting of the German Mathematical Society (DMV) and the Polish Mathematical Society (PTM), Poznan, 17-20 September 2014. 01.10.2014, "Kahler threefolds without subvarieties" at Complex Geometry, Analysis and Foliations: a conference dedicated to the memory of M. Brunella, ICTP, Trieste, 29.09.2014-3.10.2014. 21.10.2014, Symplectic packing for simple Kahler manifolds, hyperkahler manifolds and tori, Skolkovo Institute of Science and Technology, International conference "Geometry, Topology and Integrability", Skolkovo, 20-25 October 2014. 04.12.2014, "Pseudoholomorphic curves with boundaries on holomorphic Lagrangian subvarieties", a conferemce "Lagrangian submanifolds and related topics", University of Milan, 4-5 December 2014. Quaternionic structures in algebraic geometry, 16-18 November 2007, University of Glasgow. Supersymmetry in complex geometry: generalized complex structures and generalized Kahler structures on complex manifolds, 4-9 January 2009, IPMU, University of Tokyo, Japan. Instantons in complex geometry, 14-18 March, 2011, Laboratory of Algebraic Geometry, HSE, Moscow. Geometric structures on complex manifolds, 3-7 October 2011, Laboratory of Algebraic Geometry, HSE, Moscow. 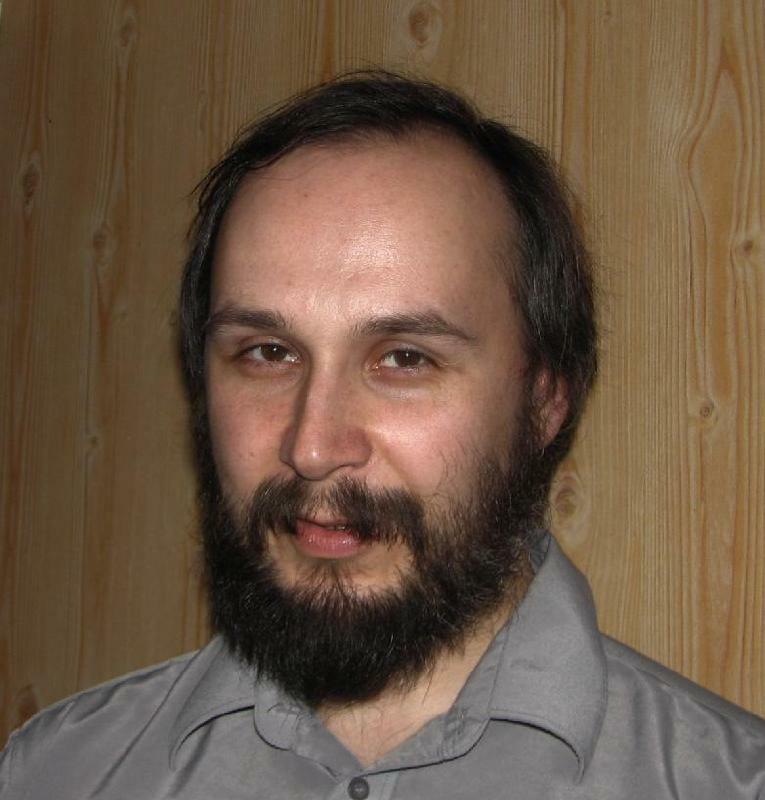 Workshop on complex geometry and foliations, dedicated to the memory of Marco Brunella, September 17-21, 2012, Laboratory of Algebraic Geometry, HSE, Moscow. 2013 (Spring): Geometry of manifolds (Math in Moscow and HSE). An advanced undergraduate course. Lecture 3: Partition of unity. Lecture 4: Hausdorff dimension and Hausdorff measure. Lecture 5: Vector fields and derivations. Lecture 6: Germs and the sheaf of derivations. Lecture 7: Locally free fibrations and categories. Lecture 8: Locally free fibrations and vector bundles. Lecture 10: De Rham algebra. 2001 (Fall): Algebraic geometry over C (an advanced undergraduate course). Exam problems. For the rest of geometry course, please see the 2008 Topology lectures and problems below. 2005 (Spring): Measure theory for first-year students. due to Dmitry Sustretov and Dmitry Pasechnik (with many thanks). Of these sheets, only the problem set 5 survives now. The rest were redone for the Fall of 2010. 2006 (Fall): Hodge theory and its applications (an advanced undergraduate course). 2008 (Spring): Foundations of Kaehler geometry (an advanced undergraduate course). 2008 (Spring): Topology for first-year students. Lecture 0, Zorn's lemma and Axiom of Choice. Lectures 1 and 2, metric spaces, completion, p-adic numbers. Lectures 3 and 4, compacts in metric spaces, Heine-Borel theorem, Hopf-Rinow theorem. Lectures 7 and 8 , metrization theorem and compactness. Lecture 9, product of compact spaces, Tychonoff's theorem and ultrafilters. Lecture 10, Banach spaces, Frechet spaces. Lectures 11 and 12, the space of continuous maps, connected and path connected spaces. Lectures 13 and 14, totally disconnected spaces, Boolean algebras, Stone's representation theorem. Lecture 16, universal covering and fundamental group. Lectures 17 and 18, Seifert-van Kampen theorem, free groups, Nielsen-Schreier theorem. A beginner's course of topology, suitable for a first-year student. The author covers metric geometry (completions, compactness, Heine-Borel and Hopf-Rinow theorem), point-set topology (up to Tychonoff theorem, Stone's representation theorem for Boolean algebras, and Urysohn's metrization theorem), some category theory is included. The set-up is very basic (set theory is explained from the beginnings and up to Axiom of Choice and its applications). The book ends with an introduction to homotopy theory; Galois coverings, fundamental group, Nielsen-Schreier theorem and Seifert-van Kampen theorem. There ara two expositions (of equal length) going in parallel, one purely lecture-based, another a problem based course, suitable for a more advanced student; in the second part, all theorems are split into series of problems for the student to solve. 2009 (Spring): Geometry of complex surfaces. Lecture 2: positive currents and Hahn-Banach theorem. Lecture 3: Elliptic operators, Gauduchon metric and strong maximum principle. Lecture 4: Surfaces with even b1 and Gauduchon metrics. Lectures 5 and 6: Montel spaces, Kaehler currents and the theorem of Lamari. Lecture 7: The Kobayashi-Hitchin correspondence and Bogomolov's theorem on surfaces of class VII. 2010 (Spring): The Ricci flow and topology (an advanced undergraduate course). Exam problems. 2010 (Spring): Analysis on manifolds (for second-year students). 2010 (Fall): Measure theory (for second-year students). Lecture 1: Triangulation of polyhedral bodies. Lectures 2-3: Measure theory for polyhedra. Dehn's invariant. Lecture 6: Hahn's decomposition, Radon-Nikodym's and Fubini's theorems. Lecture 7: Caratheodory's extension theorem. Spring 2010-Fall 2011: Kaehler manifolds and complex algebraic geometry (a graduate course). 2011 (Summer): Geometric group theory: amenable groups and polynomial growth. 2011 (Fall): Commutative algebra and algebraic geometry (basic undergraduate course). 2011 (Fall): Mori program (an advanced graduate course). Exam problems. 2012 (Spring): Complex surfaces (an advanced graduate course). 2012 (Spring): Basic topology (first year undergraduate). 2012 (Fall): Gromov hyperbolic groups (advanced undergraduate). (lectures A1 and A2 by Sasha Ananin). 2013 (Spring): Galois theory (a half-semester course; second year undergraduate). Derived brackets and generalized complex manifolds (2013; in English). An integrated math curriculum (written in 2002 for students of mathematics at ITEP).